Most cable and satellite television providers offer some type of access to live sports streaming, and cord-cutting services like fuboTV and Sling TV also feature a ton of live sports. Free live streaming sports sites are harder to come by, but they are out there. Some major sites, like ESPN, offer both free sports streams and streams that are locked behind a paywall. To disable the paywall on these sites, you may need to subscribe to a streaming service or supply login information for a cable or satellite television provider. Other big name sites, like Facebook Watch, offer totally free access to a limited number of live sports streams. 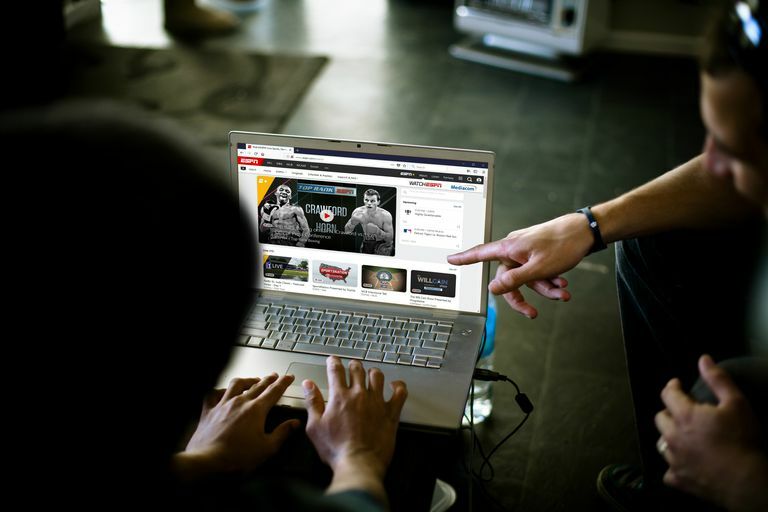 The majority of the free sports streaming sites out there don't offer official streams, so the quality is often lower, and sports fans need to be wary of the invasive and misleading pop up ads that can show up. If you're careful, you can find just about any sports stream you want on these free streaming sites. Looking for March Madness? Find out where to watch it here. ESPN offers some free sports live streams, but many games are locked behind a paywall. The sports can you watch: Football, basketball, baseball, college sports, hockey, golf, tennis, MMA, NASCAR, esports, UFC Fight NIghts, etc. Notes: Only some of the streams on ESPN.com are free. Others require a valid login from a qualifying cable or satellite subscription. What you won't find on ESPN.com is every game of every sport. ESPN only streams the games they actually have the rights to, and some game streams are even locked behind a paywall. Games that you can watch with a valid cable or satellite television provider login. Games that you can watch if you sign up for ESPN's streaming service. In addition to these premium games, ESPN also streams free sports that you can watch without logging in or paying for an additional subscription. Facebook Watch broadcasts sports like Major League Baseball, and users are also able to live stream other sports. The sports you can watch: One MLB game per week, soccer, women's basketball, surfing, and a range of unofficial streams covering virtually every sport. Notes: Facebook Watch has a limited number of official sports streams, but Facebook users use the service to stream live sports. Facebook Watch is Facebook's attempt to muscle in on the video streaming market, and the social media giant has managed to obtain the rights to stream a number of different sports. One of the biggest deals allows Facebook Watch to stream one MLB game per week during the regular season, which you can watch for free if you have a Facebook account. In addition to official Facebook Watch sports streams, Facebook users are also able to use the service to live stream sports from around the world. Type sports, and hit enter. Click Live under the source section. These streams are all provided by Facebook users, so you may find low quality and misleading streams. If you are looking for a specific game, try searching the names of the teams instead of sports. Laola1 is a Austrian site that allows users from around the world to watch live sports. The sports you can watch: Soccer, hockey, volleyball, basketball, table tennis, motorsports, others. Notes: This streaming service is based in Austria, but it allows international audiences to view live sports streams. Laola1 is a streaming site based in Austria that has an international English version, so users outside of Austria are able to use it. The international site isn't region blocked, so sports fans in the United States are able to watch games from around the world. This is a particularly good site if you're looking for live streams of sports that aren't as widely available in the US. For instance, Laola1 has a ton of soccer streams from around the world, international volleyball matches, and it's also a good place to watch table tennis. Reddit is a great place for community-sourced links to live sports streams. The sports you can watch: Most profession sports, including baseball, football, soccer, basketball, hockey, etc. Notes: Reddit doesn't host sports streams, but you will find subreddit communities that are dedicated to finding and curating links to live streams for every popular sport. If you're having trouble finding a live sports stream through official sources, Reddit is one of the best places to look for unofficial streams. Since Reddit is a site that allows users to create their own communities, called subreddits, you'll find communities there that are dedicated to just about any sport you can think of. Reddit doesn't host live sports streams, but users are able to post links to streams that they find on other sites. Streaming site owners will also post their links in the relevant subreddits, where users are typically able to upvote the good streams and downvote the bad streams. While it is possible to find bad streams, and dangerous sites, on Reddit, the community-driven aspect does make it somewhat safer than clicking random links from a search engine. Live sports streams found on Reddit, and the following sites in this list, often include a mixture of invasive and misleading pop up ads. It is strongly recommended to use an ad blocker when visiting any unknown site and to be careful what you click on. Stream2Watch has a ton of live sports streams, but be wary of pop up ads. The sports you can watch: Football, baseball, soccer, volleyball, baseball, rugby, and others. Notes: This site features invasive pop ups. Stream2Watch is a live sports streaming site that gathers streams from various other sites. It features baseball, soccer, basketball, volleyball, basketball, and other sports streams. It is fairly comprehensive, and there is a good chance that you will find the game you are looking for. Like many sites that embed streams from external sources, you may run into invasive and misleading pop up ads on Stream2Watch. Running a good ad blocker will help keep you safe, but you may still see ads overlaid on some videos. The best solution is to try closing each ad, and immediately hit back on your browser if you are sent to another page. The sports you can watch: Football, hockey, tennis, basketball, baseball, golf, cycling, others. SportRAR.TV is another sports streaming site that gathers live sports streaming videos from various sources and provides them in an easy to navigate interface. You will find all of the major sports, like football, baseball, basketball, hockey, tennis, and golf on this site. When you click on a game you want to watch on SportRAR.TV, a new window will launch with the game video. If the game doesn't play, look for a link that says more links from this match. If there are additional video sources, this will provide you with the other options. Some of the videos found on SportRAR.TV include invasive pop up ads, which may appear even if you have an ad blocker installed. Bosscast features a variety of live sports streams, but you need to install Flash to watch anything. The sports you can watch: Baseball, Football, Basketball, others. Notes: This site features invasive pop ups and requires Flash. Bosscast is another site that features live sports streams from various sources. The coverage is pretty good, so you can usually expect to find the stream that you are looking for. Unlike most other sports streaming sites, Bosscast requires Flash. That means if you want to watch live sports on this site, you need to install Flash and then allow it to run on the site. If you would rather not open yourself up to the vulnerabilities associated with Flash, then Bosscast is a site of last resort for when you can't find your game anywhere else. Cricfree features a variety of games from all the major sports. The sports you can watch: Baseball, football, soccer, tennis, rugby, golf, motorsports, cricket, others. Cricfree is a sports streaming site that specializes in cricket, but it also has streams from other sports like baseball, football, and soccer. It's another site that provides embedded videos that are hosted elsewhere, so you need to be on the lookout for misleading and invasive pop up ads even if you have an ad blocker installed.